Each year since 2011 we’ve carried out a Recruitment Analysis based on an exclusive panel of approximately 2,000 recruiters in private and public companies. The aim of the analysis is to examine companies’ recruitment processes and preferences. 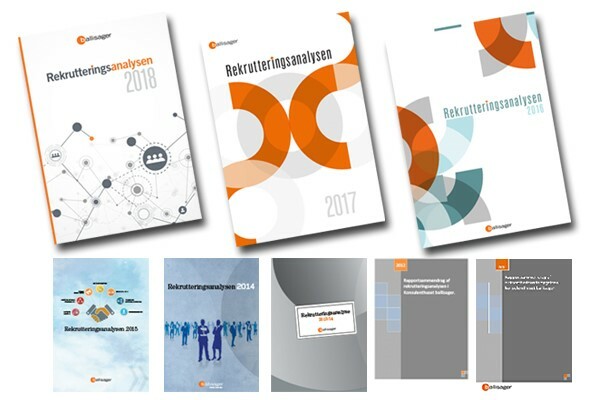 We’ve revised our 8 years of Recruitment knowledge and translated it into 8 easy-to-grasp tips for your Job Search in Denmark. You may or may not already have noticed it: In Denmark, we tend to have a pretty informal behavior. This also applies for the Recruitment process. According to our Recruitment Analysis, 90% of employers would prefer if you contact them by telephone and ask relevant questions before you apply for an advertised job opening. Unfortunately, 53% of employees report that only 1 in 10 job applicants do it. In other words, this should be your clue and motivation to go for the phone call next time you read a job advert. Relevant professional experience, motivation for the job and professional competencies are more important than having a relevant education, when a company selects candidates for an interview. Above all, Danish employers suggest that job seekers must be better at explaining why they want to join the company/why they want the job. 62% of companies say yes to a network meeting if you contact them on the basis of a recommendation from a shared contact. 51% ask their colleagues when they recruit through the network – 47% use their digital network. #4 NO LinkedIn. NO (Job) Party. Employer’s use of LinkedIn as a Recruitment channel increased from 3% in 2011 to 55% in 2018. Hence, it’s close to impossible to avoid LinkedIn when searching for a job in Denmark. Also, 37% of large, private companies (50+ employees) have tried to hire a new employee solely by using LinkedIn or other social medias. Facebook is also a recruitment medium. 32% of companies now use Facebook to recruit – in 2013 the figure was only 8%. Companies primarily use Facebook to share their job postings. But actually 43% of employers also check out a future employee on Facebook. Can your profile withstand an employer’s critical view? – is professional, brief and visual. 80% of employers normally read the CV before the actual job application, while 49% do not read the application if the CV is uninteresting. Companies spend on average 2 minutes and 3 seconds on the first screening. Keep it short (83% say 1-3 pages). Remember to describe your results (it’s the most common mistake according to the companies). … is motivated and describes the professional match between you and the job. Keep the job application a one pager (70% of employers prefer 1 page). It’s important to note that companies spend about 2 minutes and 18 seconds on the initial screening of your application. Yep, that’s all the attention your application gets. 78% of companies always or usually look at examples from your previous work. 67% also look at the written statements from a previous employer, whereas 36% never or rarely look at examination certificates or transcripts. Read more on how to write the perfect job application here. The employer’s first question in a job interview is usually ‘Tell us a little about yourself’ (53%) or ‘Why do you want this position?’ (28%), according to our Recruitment Analysis from 2018. According to the same analysis. employers generally believe that a good job interview is characterised by the applicant talking for 56% of the time. And you earn plus points if you appear motivated, well prepared and attentive. What are your strengths? Name three. What are your weaknesses? Name three. Name some results from previous jobs? What are your career plans for the next 3 to 5 years?